I have already congratulated the subscribers of the newsletter here, but for those who are not subscribed (what's your excuse for that, by the way? :), I will also write here. Thanks to you all for your devotion and support. We at CintaNotes team appreciate it a lot. As I said in the newsletter, for 2016, we have a lot planned: rule-based note processing, saved searches, drag & drop support, Android app, and many other features which have been waiting for their turn. The work on improving CintaNotes never stops. And also just reminding - till 7th of January a 20.16% discount on all licenses and upgrades/renewals is in effect, with coupon code "HAPPY2016". Re: [Ann] Happy New Year!! You're working on an Android app that is exciting to hear! + 1 for the delightful newsletter with announcement of Android app. However please don't expect it in the nearest future - we still quite a lot of work ahead, and the Windows app will continue to be our 1st priority. It would help if you wrote which minimum set of functions would you need from an Android app. Can possibly save us some time. Thanks! Alphabetical tag sorting for one. Perhaps color options for tags? Possibility to open different notebooks. If you link images or files to Dropbox, suppose you should have this installed on Android too, right? It's going to be a tough one Alex! CintaNotes Developer wrote: It would help if you wrote which minimum set of functions would you need from an Android app. Can possibly save us some time. Thanks! - Google Keep-like functionality. Really easy to quickly add a 'note,' contrary to many other notepad-apps. date, huge thanks to you for taking the time to list your wishes for the Android app. I'm terribly sorry for such late reply, have been on a sick leave. it's good to know them anyway. Thanks! I'd love an Android version of CN (would love a Windows phone version even more, but I do understand that for most dev's, the Windows phone market is just not big enough to justify the development, so I will settle for an Android version). For me, I would just like to see the basics - open an existing CN database, add new notes to it / edit existing notes, possibly create a new notebook compatible with the desktop version. So yeah - basic stuff. Any more advanced stuff can come later IMHO. FYI, Simplenote is working at revamping Android app. 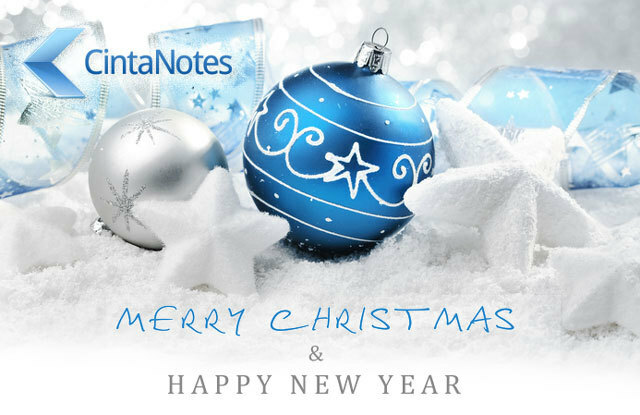 Message http://simplenote.com/2015/12/22/android-beta-now-open/ on their blog. danielson wrote: FYI, Simplenote is working at revamping Android app. Anyway, it's nice to see Simplenote still being active. I liked Ubernote but always found their subscription price tag a bit to steep. Perhaps that's why they closed off. Subscribed to Simplenote's Google Community page but can't find link to try out the beta app. I also like that Simplenote is not dead - the more popular Simplenote is, the better it will be for CN. About beta version - probably they'll post it a bit later. Make sure you click the "Opt-In" link on this page etc. -had a bit of tough time to find that "opt-in" link. The "happiness engineer" after Support's name in response was cute.